I have posted this before as a helpful reminder for Spring. It’s time to get out in the garden! Question : What do I do to get my Garden ready for Spring? The simple Answer is : Lots of things! I Have been asked this question so many times… We have had some fun talking about working in your garden on local TV & radio and have given out some good advice for sure. So this little list is for all the folks who don’t have time to make notes. Of course clean up is job 1! Rake up those leaves and sticks and debris from the fall and winter. This is so important for the success of your garden! Not only is all that debris unattractive, it can be a home for overwintering insects as well as fungi that can get right back on your plants. – Trimming and Pruning! This is a great time of year to get out there and do some trimming. Cut back you Roses, Ornamental Grasses, Perennials, and most Ornamental Shrubs like hollies and boxwoods. Not azaleas yet… Wait until they have bloomed to trim these 🙂 Limb up those trees in the landscape and along the borders too. Many people ask me WHEN to prune their Crape Myrtles, IF you haven’t already, do it now – It’s time! 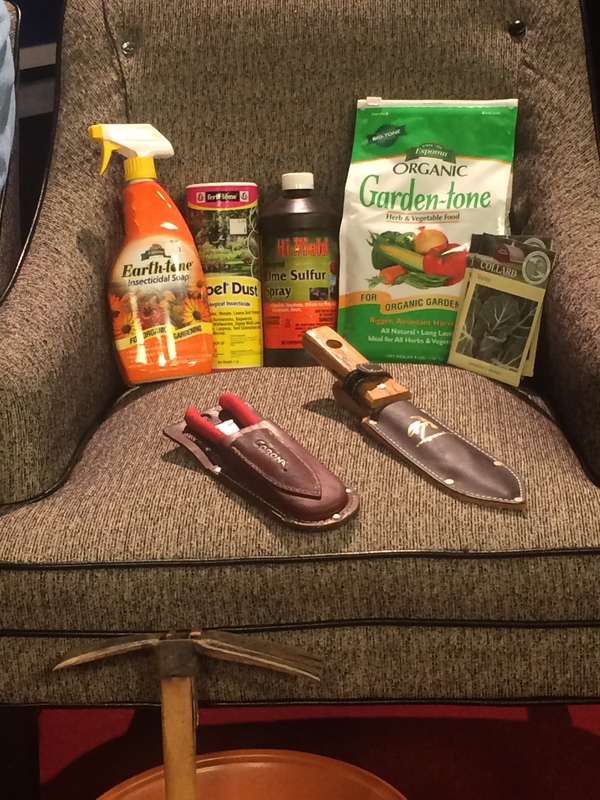 Pruning tools and organic insecticides are your friends in the garden. – Spray you fruit trees! Start out with a good Dormant Oil spray. Mix as directed on the label and spray well. This is the first step in a Spray program and is well worth the effort! 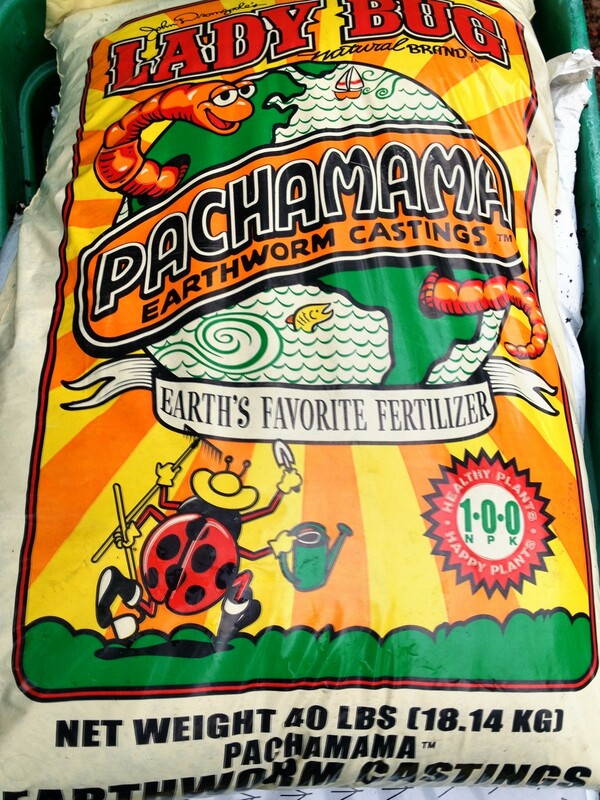 We have organic soil amendments for your garden. Manure, compost and more. – Fertilize! This is a great time to fertilize your Shrubs and Trees! This is a great time to fertilize your cool season lawns too. You can use a good balanced fertilizer like 15-15-15 for most chores or you can “Go Green” with a Organic fertilizer like Milorganite. Another GREAT Organic choice is to side dress your shrubs, trees & other plants with Composted Manure! Chicken Poop is my favorite and we have it available at the Nursery. – Mulch! Aged Hardwood Bark Mulch is the most popular for ornamentals. But there are other great mulches too! Like pine bark, pine needles, cypress mulch, lava rock and decorative gravel. All these are great and really help your plants – it keeps weeds down and looks beautiful, it stabilizes soil temperature, protects the root system, protects the trunk of your trees from mechanical damage from mowers and string trimmers and much more! Mulch is the answer. 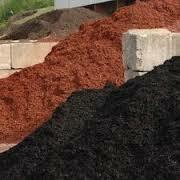 We have bulk mulch in stock for your project. – Planting! This is an awesome time to plant most any ornamental plants in your landscape! Trees, shrubs, bulbs and more! Get your plan together, go by the nursery and get those beautiful plants in the ground. OK, I just gave you LOTS to do…. Lets get out there and enjoy the coming season!